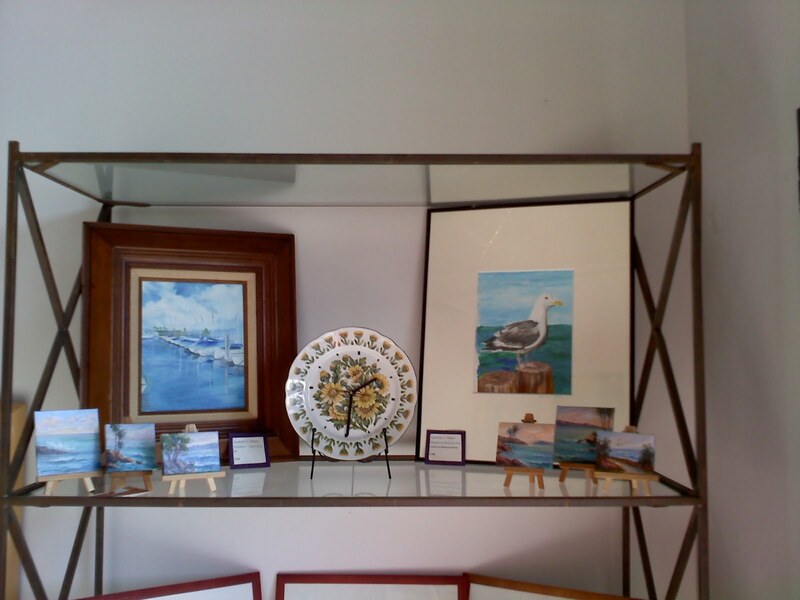 The Gallery has a beautiful shelf which is displaying two of my paintings. A "Portofino - Redondo Beach Yacht Club" - Oil / Plein Air in the Dark Wooden Frame. Both will be on display / and for sale, throughout the month of July!